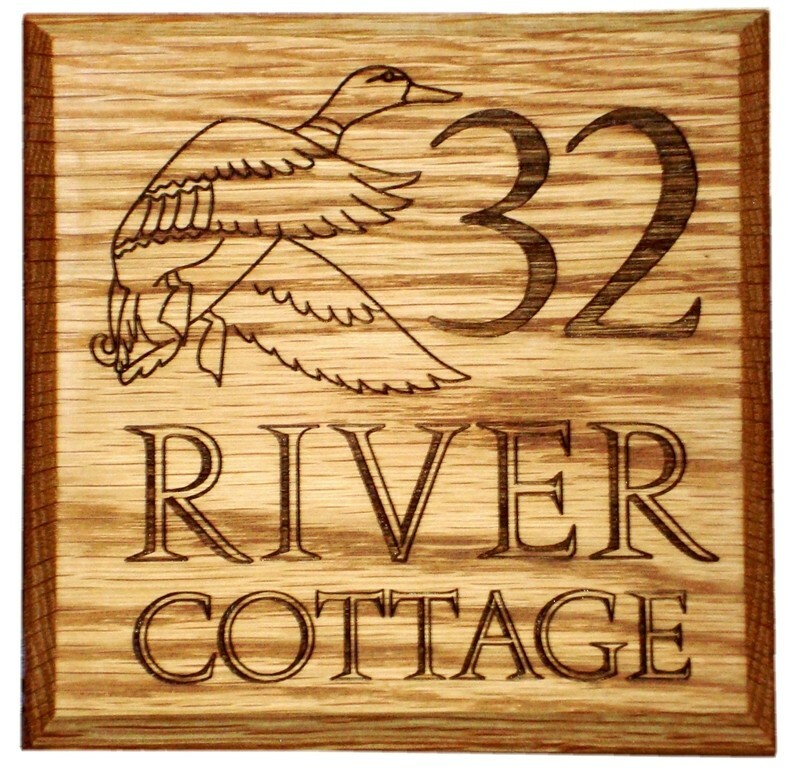 Solid oak house signs - designed and engraved to your specification. 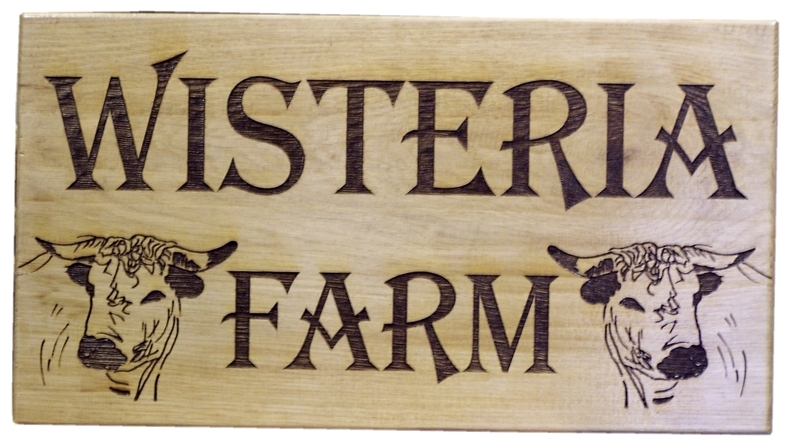 We use the finest oak and maple for these signs. At one inch thick the signs should easily last a lifetime with minimal maintenance. 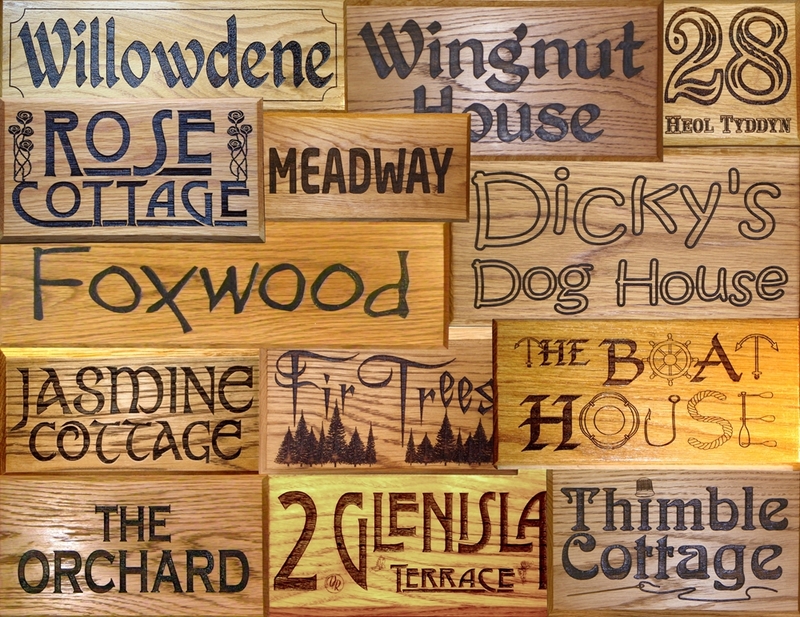 For a sign with real character our bespoke signs cannot be surpassed. 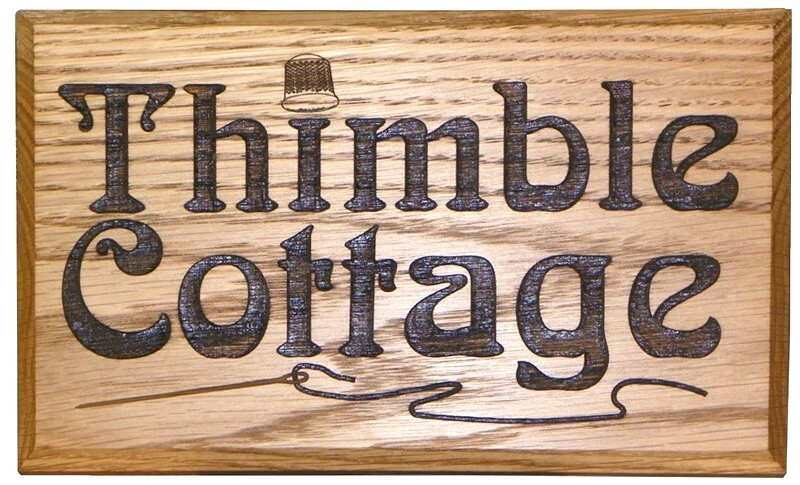 There are a lot of companies offering cheap routed signs on the internet - ours are all individually designed and then engraved with a laser for fantastic detail and clarity. 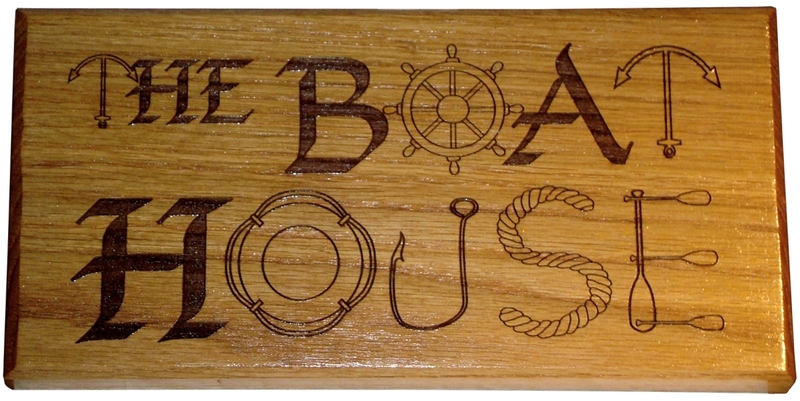 The signs can be finished with wax, oil or yacht varnish. You can have your own graphics added to a design at no extra cost or just give us an idea of what you would like and we'll send some design concepts for you to choose from. 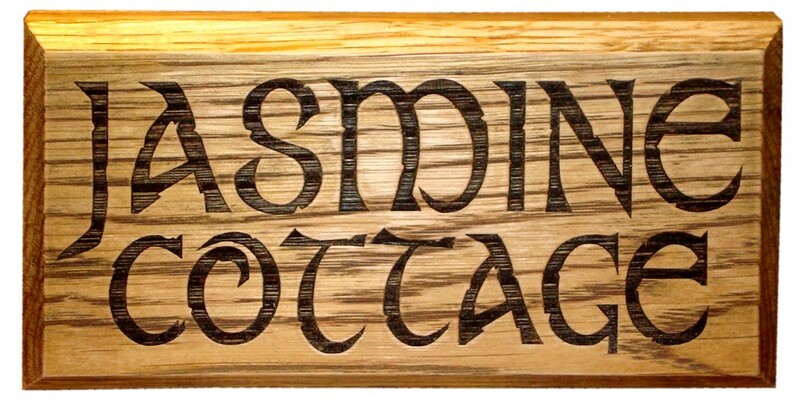 Solid Oak House Sign 6" x 6"
Solid Oak House Sign 8" x 4"
Solid Oak Rustic House Sign 15" x 3"
Solid Oak House Sign 10" x 6"
Solid Oak House Sign 18" x 6"
Solid Oak House Sign 18" x 8"
Solid Oak House Sign 24" x 12"
Solid Oak House Sign 30" x 12"